I'm SOOOO in love with this altered plaque made for AllyScraps by Cherry Nelson! Love every little detail of it, especially the soft colors and the added embellishments. Here are Cherry's directions- Take chipboard label piece and cover in your papers ( I chose to use a patchwork type design by alternating two patterns from October Afternoon but you could cover it in one type of paper of your choosing), sand edges and ink, cover your maya road dress form with chosen paper and sand and ink, embellish the dress form with appliques, flower(made from vintage doily using sizzix diecut and vintage spool for the "center" of flower), frame, and Girls paperie diecuts as you like. Adhere MF gemstones as your "necklace". Adhere your skirting at the bottom. I choose to use vintage paper lace and sew it but any type of paper border would work well or a doily. 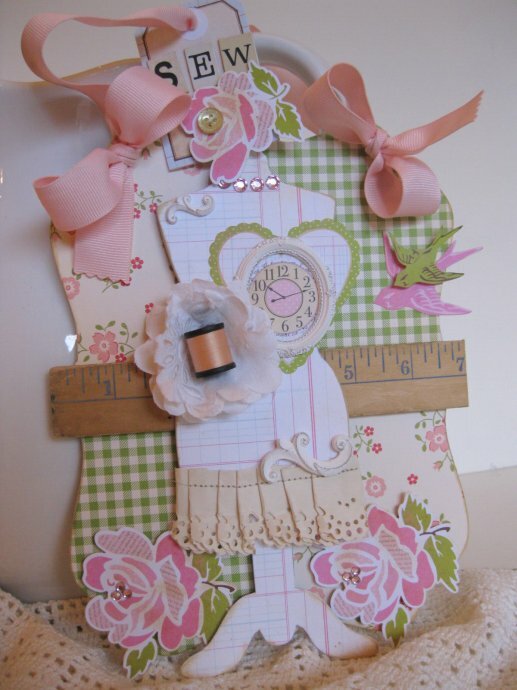 I used a vintage piece of yardstick as a border in the middle but again a paper border etc would work just as well. Adhere your dress form to plaque, Using foam adhesive for demension adhere your birds and rose diecuts to plaque from the Girls paperie collection, Adhere MF gemstones to middle of roses. If choosing to make a tag for the top...use the premade tag from the Girl's paperie and adhere another rose and button, Adhere word Sew. 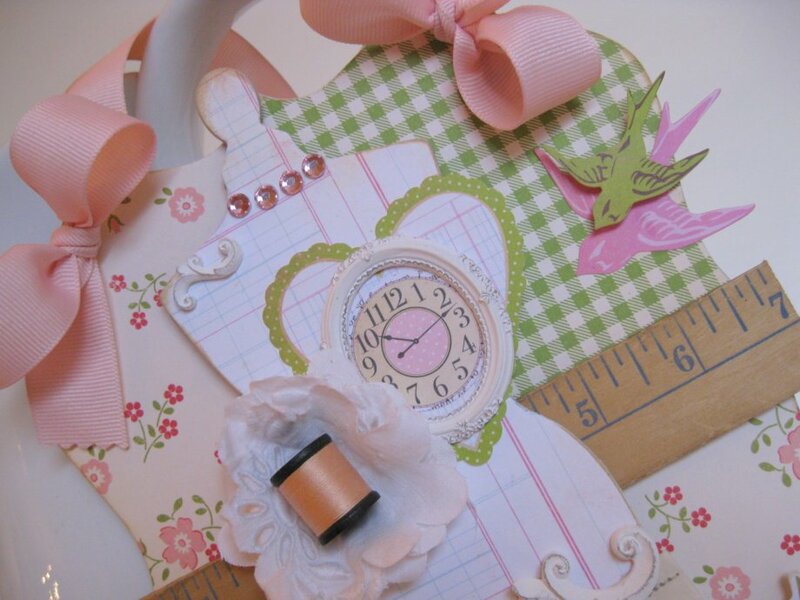 Weave through your ribbon and tie bows to each side of plaque. It is ready to Hang! 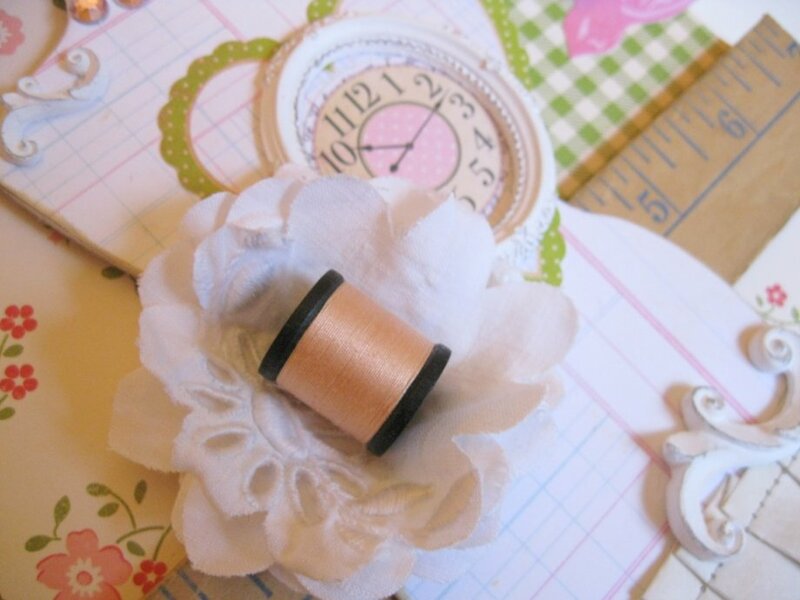 Would make a perfect gift for a friend's sewing room....or be a little greedy and keep for yourself! Love, love, love Cheryl's work, and this project is no exception. Beautiful colors, gorgeous design. Oh my gosh! I love this! Add this to my list of projects I want to make! 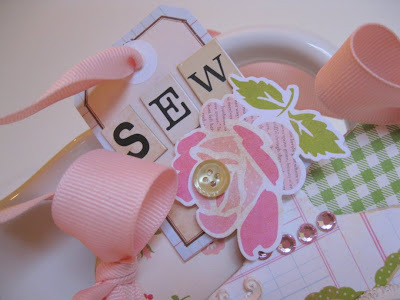 Beautiful project - just sooo pretty! Shabby Betsy Ross Dress Form by Melissa Phillips! A "vintage" banner from Cherry Nelson. Brand new stuff in the store! Please welcome Cherry Nelson to AllyScraps!